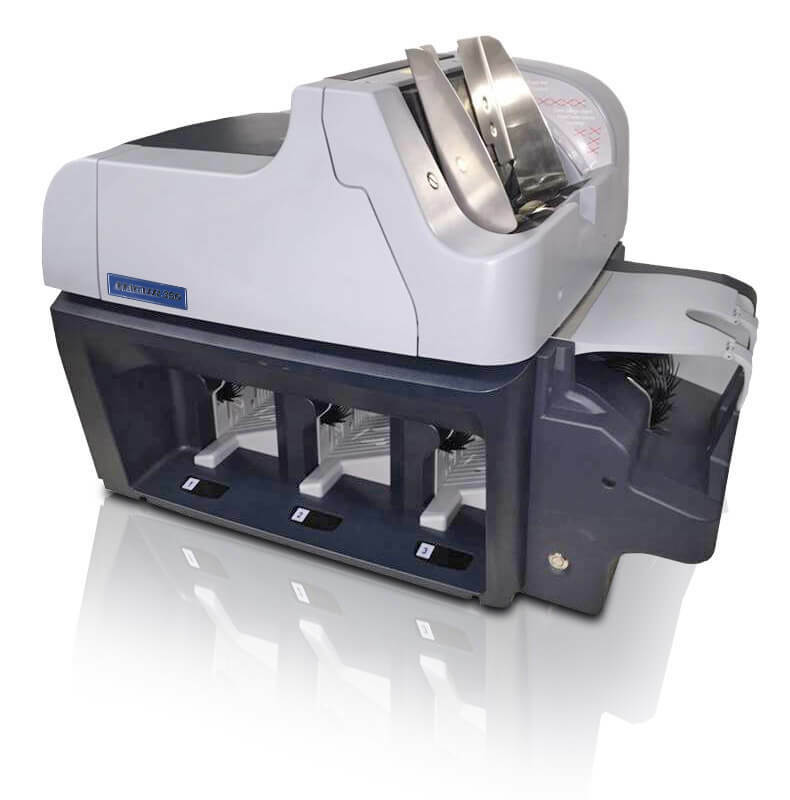 The Magner 350 Plus is a multi-pocket banknote counter and sorting solution. Designed for mixed denominations, the adjustable counting speed allows counting of both new and unfit banknotes with several sorting features. The Magner 350 Plus includes a touch screen tablet interface, user friendly operation, and easy maintenance. High connectivity also allows this model to recognize serial numbers in “real-time”, there is no need to project onto an external PC. With the ability to compare serial numbers and detect black-listed notes the Magner 350 Plus is the ultimate weapon against counterfeit banknotes. Serial Number and Barcode recognition: “Real-time” serial number recognition at up to 500 banknotes/min, also includes serial number comparison.